Dr. Anita L. Tucker is an Associate Professor at the Questrom School of Business at Boston University. She has bachelor’s and master’s degrees in Industrial Engineering and Operations Research, and a doctorate in Business Administration. She investigates how service process design impacts quality and efficiency. In particular, she has studied care delivery processes in hospitals. Her research finds that a lack of internal integration results in a culture of workarounds that wastes up to 10% of staff’s time. She leverages principles from operations management to help hospitals decrease workarounds and create an improvement-oriented culture. 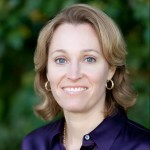 Her research has won numerous awards including a Best Dissertation award from AcademyHealth, a Sloan Industry Studies Fellowship, a best paper award from California Management Review, seven best paper proceedings awards from the Academy of Management, and outstanding abstract from AcademyHealth. She has written case studies and conducted research on process improvement in collaboration with hospitals such as Kaiser Permanente, Cincinnati Children’s, Cleveland Clinic, Brigham and Women’s, Newton-Wellesley Hospital, and Beth Israel Deaconess Medical Center. She has taught her cases in executive education programs for Harvard Medical School, Harvard School of Public Health, Harvard Macy’s Institute and Brigham and Women’s Hospital. She has presented her research at Boston Children’s Hospital, Johns Hopkins Hospital, Institute for Healthcare Improvement, Improvement Science Research Network, and Vermont Oxford Network.